Ask adults today about the toothfairy and they may have fond memories during their childhood when the toothfairy came to visit them. The toothfairy traditions go way back where in parents would give gifts to their children when one of their baby teeth fell out. The gifts or money were hidden underneath their pillow. This was a fun way of celebrating the growth of their children and a way to lessen the impact or fear any child might have about losing their tooth. There have been some alterations to the toothfairy tradition and certainly there are difference in each community or country. The “tooth underneath the pillow to get money” is more of a western tradition originating in the US. In some countries in the middle east, when a child loses a tooth, they are told to throw it into the direction of the sun while praying to Allah for a new and better tooth. In some Asian countries, they toss the lost tooth onto their roof if it came from the bottom jaw, or underneath their floors if it came from the upper jaw. They then ask that the tooth be replaced with teeth similar to mouse teeth because mice teeth never stop growing and are perceived to be very strong. Toothfairy mice are popular in Europe as well, where toothfairy traditions state that the toothfairy is actually a white mouse that goes around collecting teeth in exchange for coins. Modern toothfairy traditions now include that when kids lose their tooth, they need to visit the dentist, if not; the tooth fairy won’t take the tooth since it was not approved by the dentist. This can help reduce any fear of going to the dentist and teachers a child that dentists are friends and are there to help. How to Improve Your Health? Try Using Spices! Aiming to improve your oral health? 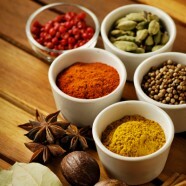 Have a try at incorporating the spices profiled below for a warm, healthy winter! Exactly what are the very best spices that can assist you with improving your oral health, your immune system and your general health? Read on to find out! Cinnamon is among the most prominent spices, utilized in eggnog, cookies, scents, teas, pies and more! Cinnamon is an excellent spice to have in your spice shelf as it has actually been shown to improve your oral health through decreasing blood glucose, which contributes to gum problems and diabetes. Turmeric contains curcumin, which has been proven to be a strong antioxidant and anti-inflammatory agent. Curcumin can easily help minimize the swelling of the gums linked with gum disease and can help you improve your oral health by improving blood flow. Rosemary is generally a staple in the kitchen and typically serves as a cooking spice or a topping on baked bread. Rosemary may enhance blood flow, help improve your oral health along with promoting your immune, digestion and circulatory system. Ginger cookie are likely to be a popular choice for the holidays, but ginger, just like turmeric, can easily be made use of in everything from cooking to hot chai teas. Ginger minimizes the swelling of your gums and the queasiness that’s in some cases linked with a toothache or following a dental treatment. If you would like to share a few of your beloved spices or holiday recipes, find us on Facebook and Twitter and share! Flossing before going to bed can decrease your chances of plaque build-up, dental caries and gum disease, but dental floss can do more for you than simply provide you with a flawlessly healthy and balanced smile. 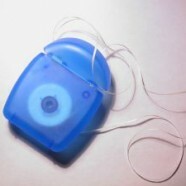 Your smile partners at Downtown Dental have the 5 best uses for floss, aside from great oral health care. Dental floss is sturdy and perfect for hanging photos. If you have climbing plants, dental floss works great to direct your plants on how to grow. If your shoelace breaks, dental floss can help you out in a pinch. Dental floss is unbelievably durable. Use it to stitch a button on without any problems. No knives? No problem! Floss can easily slice into meals such as hard-boiled eggs, cheese, cake or jello. Don’t forget floss’s most important use: cleaning the hard to reach spaces between your teeth! If you’re not sure how to floss or if you could like to book a dental cleaning, contact us today. Wish to know more oral health care pointers and secrets? Read our blog or connect with us on Facebook, Twitter & YouTube. What’s the link between gum disease and breast cancer? Recently, a research conducted by the British Dental Health Centre discovered that women with missing teeth or gum disease may be up to 11 times to suffer from breast cancer than women whose oral health is in good shape. Inadequate dental healthcare has been connected to diabetes, premature births and cardiovascular disease, and though the link between gum disease and breast cancer hasn’t yet been established, there is a connection. If you would like to work on your oral health routine, get in touch with our team of dental experts and learn how to keep your smile healthy and beautiful. If you have missing teeth, you’re not just at risk for breast cancer! Missing teeth may influence your jaw bone growth, your tooth alignment, and your confidence. Current oral technology can easily repair your smile and give you the chance to go through life with a smile. Contact your Vancouver dentist, Downtown Dental, today! We’re committed to offering you the latest news in dental healthcare; please scroll through our blog for more! Licorice and Cavities – What’s the Connection? Your Vancouver dentist knows! A group of scientist recently discovered that licorice could help fight off the bacteria that causes cavities and tooth decay. Your team of dental experts at Downtown Dental, your Vancouver dentist, wish to weigh in on the facts and help you make the most informed decision possible with regards to your oral health. First, the licorice discussed in the study isn’t the licorice candy you see sold in stores. In fact, we at Downtown Dental, your Vancouver dentist, do not really recommend ‘fake’ licorice as a treat. Licorice candy can adhere to your teeth and in fact cause tooth cavities and gum disease. 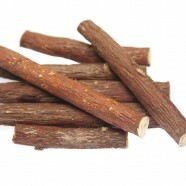 Real licorice, however, has been a staple in Chinese medicine for centuries. With the help of scientific inquire, we now know that dried licorice root includes licoricidin and licorisoflavan A. Licoricidin and licorisoflavan A. are effective in getting rid of the bacteria that’s usually responsible for gum disease and tooth decay – the origin of 80 % of all dental problems that our patients report. In fact, gum disease is the second most common problem in North America, 2nd just to the common cold. Licorice might be able to decrease your threat of gum disease and cavities if used in a total oral health care program that consists of brushing your teeth at least two times a day for a minimum of 3 minutes, flossing carefully prior to bed and visiting Downtown Dental, your Vancouver dentist, a minimum of two times a year for routine dental exams. Want more dental news right at your fingertips? Scroll through our blog for the latest and greatest in dental news, tips and tricks, and more! Connect with us on Facebook, Twitter and Youtube as well for the most up-to-date news about our clinic. Have a toothache? Fix it fast! If you’re dealing with a toothache, contact your Vancouver dentist, Downtown Dental at your earliest convenience – it’s possible that your tooth is suffering from an abscess and may call for emergency dental care. If you’re experiencing a toothache, the caring group of oral health care specialists at Downtown Dental, your Vancouver dentist, have a few tips for you to assuage your toothache prior to your appointment. Applying a cold compress to your jaw usually can lessen the pain of a toothache. The cold decreases blood movement to the site and, consequently, decreases swelling and discomfort. Over the counter medication can ease a toothache but please be sure not to go over the suggested dosage. Aspirin and Advil usually contain anti-inflammatory medication which can lessen the pain and swelling connected with a toothache. For a great anti-bacterial mouth rinse that can help reduce the pain of a toothache as well as discomfort and swelling, mix warm water with a teaspoon of salt and baking soda, but be sure not to swallow the mixture, merely gargle it. However, bear in mind that any sort of toothache is a bad toothache so contact your Vancouver dentist, Downtown Dental, for a consultation. For even more secrets straight from your dental expert, read our blog! We’re social, too! Connect with Downtown Dental on Facebook, Twitter and YouTube. One of the most typical questions asked to dental specialists at your Vancouver dentist, Downtown Dental, is: “exactly what are receding gums?” To speak plainly, receding gums are an outcome of gum disease. Normally, gum disease plays the biggest function in triggering receding gums. Germs that find their way into the oral cavity as an outcome of gum disease begin to form plaque. Plaque build-up can easily cause inflammation of the gums – and inflamed gums tend to shrink, beginning to look more and more recessive. How to protect yourself from receding gums? Gum disease is relatively easy to diagnose – simply come to your Vancouver dentist, Downtown Dental, for your regular checkups and we can tell you if you have gum disease, plaque build up or the beginnings of receding gums. Tooth sensitivity, especially to extreme temperatures, may indicate gum recession as the sensitivity comes from your now-exposed tooth roots. In the first stage of gum disease, your gums are somewhat pink in colour and gain a scalloped appearance. Later on, the gums turn a bright pink or red, soften and start to bleed. Advanced cases of gum recession show visible roots, pus formation and excessive bleeding. Though there are several treatment options for receding gums, the best treatment is prevention. If you suspect you have gum disease or that your gums have begun to recede, please contact Downtown Dental, your Vancouver dentist, to schedule an appointment.